At Gibbon, we are committed to providing excellent customer service and love hearing from our customers. 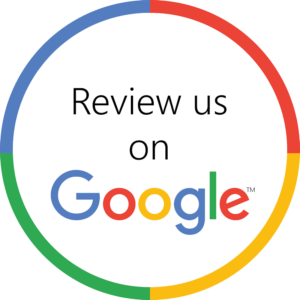 Please click the image to leave us a review on Google! Six months ago we had Gibbon install a new furnace, the SLP98, and very recently had them back to install a new air conditioning unit and coil. We were extremely pleased with the job they did both times. Paul, the estimator, did not try to coerce us into buying any extras (as another company tried to in the past), the installers did their work efficiently and cleaned up their mess afterwards, and the electrician fully replaced any wiring involved (something that wasn’t done with the last new furnace we had installed). All of them were professional, courteous and personable. We would have no hesitation in recommending this company to others. We haven’t had the need to try out the new air conditioner as yet, but were very pleased with the furnace. We had a very cold winter and the house was cozy and warm at all times. The installation crew did their jobs well and efficiently; they were neat, friendly, and polite. What more could one ask? We had a water heater, furnace, central A/C, and a split unit A/C installed at the same time. Aaron, Terry, Allison, and Paul did a great job. They were on time, they had all the right pieces and equipment, they worked fast and efficiently. Although pleasant to talk to and to get information from, they didn’t waste our time or theirs with extraneous gab–I was surprised at how quickly they worked. They were very neat, especially given the circumstances (rain, snow, and mud). Their workmanship (workpersonship? was excellent (I have some knowledge of what good electrical and ductwork should look like). I have no hesitation recommending this crew. Just had a Lennox HE Furnace installed in our home; we were very happy with Gibbon Heating from start to finish. The salesman came out to measure our home, discuss options and give us a quote. The install was set for a week later. The morning of the install the crew showed up and once they assessed the job, they got to work. Everything was done and cleaned up by 3 that afternoon. Very nice job. Our salesman came back about a week later to make sure we were happy with everything and we really appreciated the followup customer service. Gibbon were professional and knew their stuff. I was very happy with the knowledgable salesman but also the installers who answered all my questions and accommodated my requests. The salesman knew the gas code accurately and outlined my options. The crew were in and out within 7 hours, with just a small amount of clean-up after. The salesman assisted with the extended warranty and mail-in rebate. A very good experience and would definitely recommend them to others. Their price was more than comparable and was a selling feature. The EL296 so far is a great furnace, very quiet, and I’m looking forward to the energy savings. We were absolutely satisfied with every aspect of the installation and instructions received when we had our air conditioning installed. The workers were friendly and knowledgeable. They left no mess behind and gave us information regarding maintenance. Salesman was very good at explaining all options of air conditioners. Helped us make our decision. Installation team was friendly and worked quickly. I would definitely recommend gibbon heating and air! 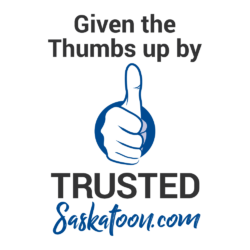 Paul and the install tech’s were great, we have had our furnace and water heater replaced within the last year and both visits have gone smoothly and as quoted. We have used Gibbon Heating and Air Conditioning for all of our heating and air conditioning needs over the years. We have always found them to provide great service. During a recent cold snap, our furnace needed maintenance. I called Gibbon on a Monday morning and they were able to come first thing Tuesday morning and complete the repair work. Thanks again!!! I highly recommend this company. In 2012 i was told my furnace needed to be replaced and it would cost $5000 of course i wanted a second opinion. I called Gibbon they came out and had a look and told me i only needed one part for my furnace it cost $600 needless to say i went with them and my furnace has not given me anymore trouble. Great company and superb staff. Provided great service! They were timely, neat, courteous and professional through the whole process! Would recommend them to anyone and will use them again in the future! The knowledge of the agent was superior. The installation of the furnace was done in a timely manner with quality services. The price was nominal and everything was explained in advance. Overall, the services were excellent and one cannot expect better than that. Very well done! We were very happy with the service from Gibbon. Everyone everybody was wonderful in every way. I would in a second use the product again also the installer. Its quiet and just wow! Will blow your socks off in a good way! Great Job. Quoting was easy and well-priced. I knew what I was getting with no hidden costs. Installation was a breeze, normally I don’t feel comfortable letting a contractor in my house and leaving them, but I had no problem after meeting the crew. Quick installation, got exactly what I was quoted, clean install. Even took the extra time to run the pipe straight and fixed some of my existing drain lines. We would like to thank all your team. From “Paul” to the duct cleaners and service technician. We highly recommend them to all we know. And for such a cold day the temperature only dropped 4 degrees in the house. We give you all a AAA rating. The crew here are top notch folks. During home a buyers inspeciton it was discovered the furnace had a cracked heat exchanger and the water heater was leaking. Quote and install was done in a timely manner. Highly recommend !! Gibbon was very helpful. They arrived when they said they would, recommended exactly what we required. The installation team was professional and made sure all was clean before they left. We would recommend this company. I’ve used Gibbon for furnaces’ air conditioning and general plumbing. Brent and the game stand behind their work and do what they say for the price quoted.